When people think of math they’ll often conjure up images of a chalkboard. There’s something about the tactile nature of writing numbers out onto a surface which seems to help the learning process. But the iPad is rapidly taking over as the goto for written equations. This list will delve into what makes the best math apps great. Ranking will take unique features, ability to capture attention and the scope of their subject matter into account. Montessori Numbers only ranks low due to limited scope. The app teaches basic math skills to children ages three to seven. It should be kept in mind that limited scope isn’t always a bad thing. In fact, one of the app’s biggest advantages is that it won’t overwhelm children. People often forget just how intimidating math can be to young children. 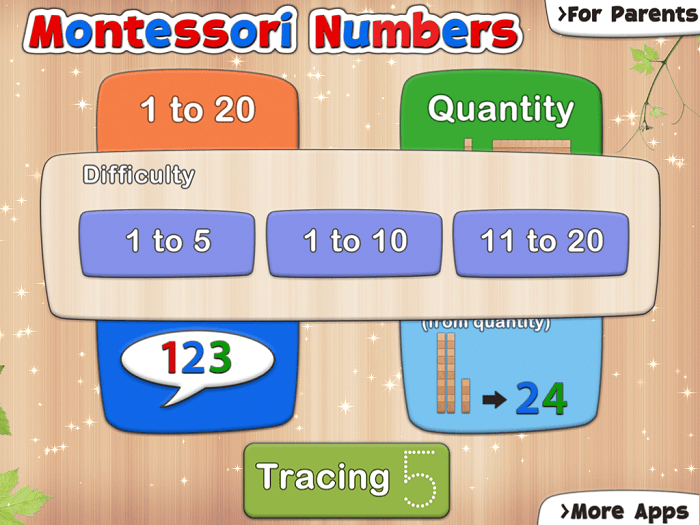 The Montessori Numbers app introduces kids to the idea of math as a fun way to understand the world. It doesn’t just teach math, it also teaches kids why math is important. The main disadvantage comes from the price. $2.99 is reasonable for one of the best math apps for ipad. But at the same time it’s a small amount of content for more than many other math apps. Counting Caterpillar also focuses on younger children. Kids from ages four to five should find themselves quite excited on loading up the app. It teaches basic math skills. But the most notable element of the app is how the material is presented. The $2.99 price brings with it some eye catching visuals. The most notable advantage of Counting Caterpillar is the presentation. 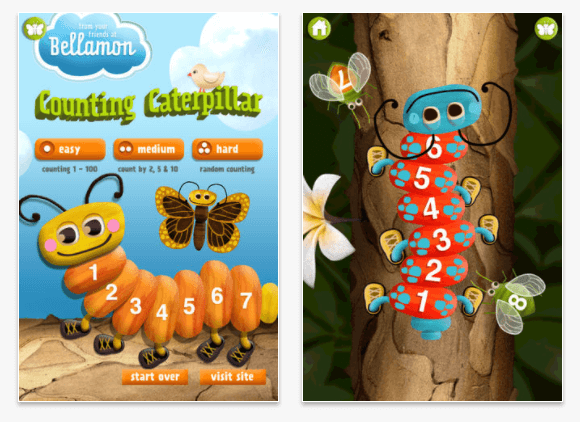 The app uses colorful graphics to instantly capture children’s attention. From there the butterfly award system keeps kids engaged and eager to keep learning. The most notable disadvantage is that the presentation is less formally structured than some other apps. Many parents want their children to learn math through a formalized system which has been recognized by schools. Counting Caterpillar might be a little too informal for some people’s tastes. Number Rack is a free app which takes a unique approach to the subject. Most of the best math apps for ipad teach individual skills. Number Rack isn’t teaching a particular mathematical subject. Instead, it earns a place as one of the best math apps for ipad by teaching kids how to relate to abstract concepts. The biggest advantage of Number Rack is that it doesn’t really have much competition. 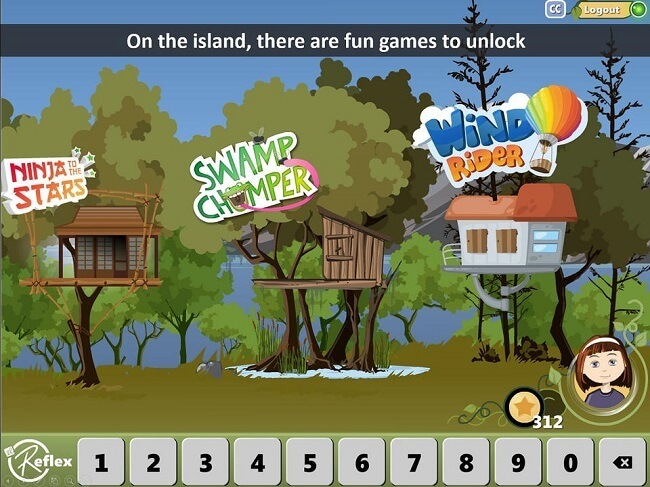 The app helps kids understand how to group numbers together for problem solving purposes. It can be thought of as a way to help kids create math problems out of real world situations. The biggest disadvantage is the lack of an easily defined focus. Abstract ideas are harder to convey than specifics such as multiplication or fractions. 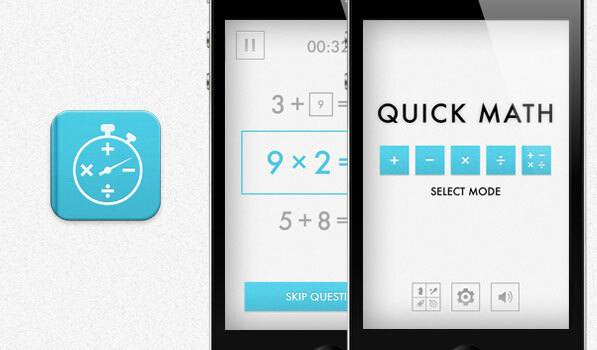 Quick Math is a speed based math app for kids in grades three to six. The app focuses on all elements of elementary school level math. This includes addition, subtraction, multiplication and division. 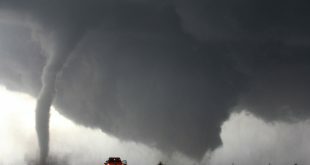 The most notable feature is the app’s emphasis on speed. The app challenges students to solve problems as quickly as possible. Quick Math costs $1.99. The biggest advantage of Quick Math is the fun factor. It uses handwriting recognition to draw students into a fun and challenging cram session. Anything that makes kids enjoy learning should earn a place as one of the best math apps for ipad. The main disadvantage is that beginning students might find themselves intimidated by the challenge. Quick Math tends to work better as a method of honing skills rather than learning them for the first time. One of the best ways to teach is by relating it to the real world. Pizza Fractions hooks into the simple fact that almost every kid out there loves pizza. Parents will love the fact that the app is totally free. And kids quickly fixate on the colorful graphics. The biggest advantage of Pizza Fractions is familiarity. Fractions can be a rather intimidating subject. Even parents will usually find themselves having to work their memory to help kids with homework. 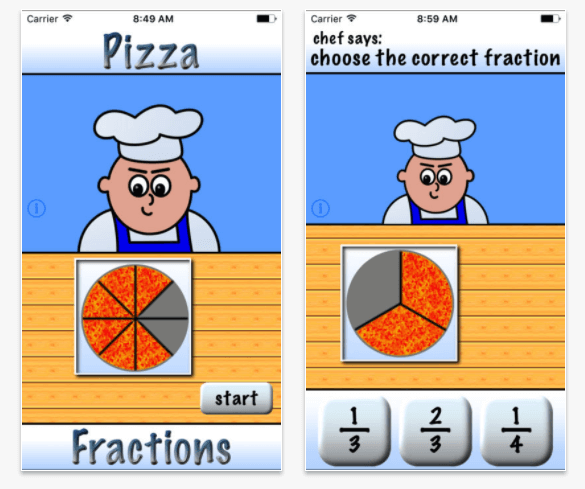 But the Pizza Fractions app can make an otherwise intimidating subject more relatable. 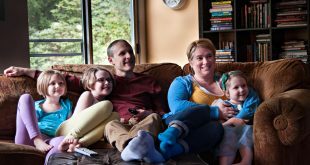 The only disadvantage is that parents might not want such a heavy emphasis on less than healthy foods. Kids who spend hours looking at cartoon pizzas may well find their appetites going in that direction as well. Reflex Student is a free math app for students in the 2nd through 8th grade. The app teaches a variety of different math skills. Throughout this process students can still use the familiar interface that’s first presented on starting out. 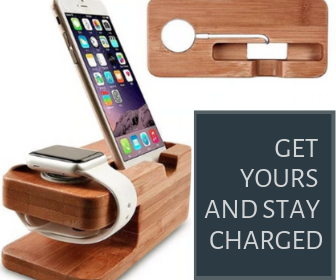 The app’s biggest advantage is the sheer scope of presentation. The game creates an immersive environment where students can even create individualized in-game representatives. Reflex Student is a rare example of edutainment that kids actually enjoy. The only disadvantage comes from the complexity. 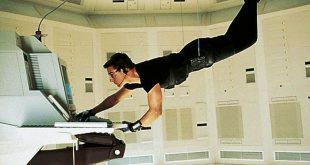 The larger scope of the app means that some people might find themselves lost when trying to focus on a single subject. Of course the most important part of the learning process is the students themselves. The apps featured here each present the same concepts in ways which appeal to different personalities. But everyone’s personal experiences with the best math apps for ipad can expand the discussion. 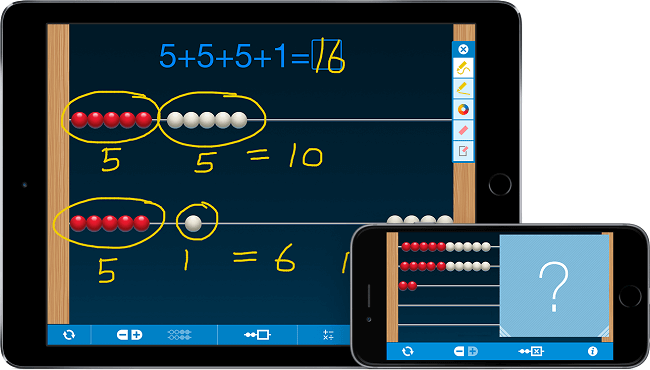 By talking about the best math apps for ipad one can ensure that everyone has a chance to start out with the perfect fit for their children’s needs.